Homelessness is on the rise across our state and community, and its impacts affect all of us. 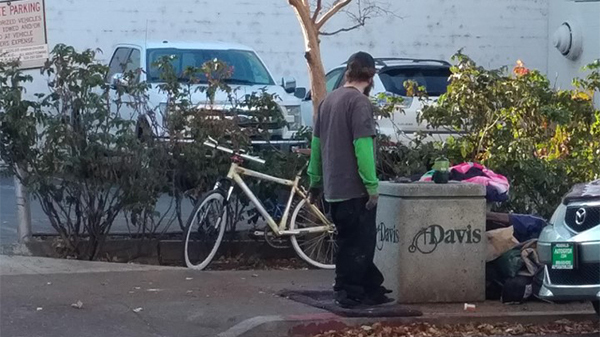 In the City of Davis, community leaders have come together to develop an innovative approach that moves chronically homeless individuals off the streets and into housing, so that they can regain stability. The following is an overview of the leadership and vision that led to the creation of Paul’s Place – a multi-functional structure designed to serve the most vulnerable individuals living homeless in Davis by providing housing and wraparound services. Recognizing the need for innovative and collaborative solutions to this critical issue, Sutter Health launched its Getting to Zero campaign in 2016 and pledged $10 million in matching grants to encourage innovative public and private partnerships to implement a region-wide collaboration and a systematic approach to ending chronic homelessness in Placer, Sacramento and Yolo counties. The goal of the campaign is to reach Functional Zero – when the number of individuals experiencing a housing crisis is equal to or fewer than the number of permanent housing units available to them. With that goal in mind, Sutter Health Valley Area President James Conforti and Vice President of External Affairs Keri Thomas held a series of meetings with local elected officials and business leaders. They also convened the region’s homeless service coordinators and asked them to “think big” about how to address homelessness. Inspired by Sutter Health’s challenge to be creative and collaborative, City of Davis leaders – including Mayor Robb Davis, Chief of Police Darren Patel, then-City Manager Dirk Brazil, Yolo County Housing CEO Lisa Baker, and social services consultant Joan Planell – met to brainstorm how they might help address homelessness in Davis. It was in this meeting that a variety of ideas were discussed, and Baker suggested a vertical micro-housing project. At the same time, a diverse group of Davis residents had come together led by Martha Teeter as the non-profit Davis Opportunity Village (DOVe) with a vision to build a tiny house village as a way to rapidly house some of the city’s most vulnerable. Meanwhile, the nonprofit Davis Community Meals and Housing (DCMH), with Bill Pride as executive director, was talking with supporters about the need to update its decades-old resource center and transitional housing program at 1111 H Street for those experiencing homelessness. After the “think big” meeting, Joan met with DOVe and DCMH and all saw an opportunity to collaborate around their common goals. After many meetings and discussions, decided they could tear down DCMH’s old and worn out building and replace it with an innovative and multifunctional structure. Maria Ogrydziak, an award-winning architect, Davis resident and DOVe board member, designed what we now know as Paul’s Place is to be a vibrant community of respite and hope. It is a creative multi-functional structure that will have 18 units of permanent supportive micro-housing, 10 units of transitional housing, four emergency shelter beds, and enhanced day services including expanded shower, restroom, and laundry facilities to serve individuals experiencing homelessness in Davis. Paul’s Place is a creative community-based solution to a national problem – a solution that can be replicated by others as we show the success of the program here. By building a vertical tiny home village with wraparound services in a central location, the Davis community will be helping those who need it most while reducing the economic and environmental burden of homelessness on our downtown, parks, and neighborhoods. By effectively addressing homelessness, we can improve our entire community. Research shows that moving an individual from homelessness to housing reduces that individual’s cost to taxpayers by 50 percent for associated expenses such as health care, law enforcement and other services. A recent city survey found homelessness is a top concern for business owners and downtown residents. 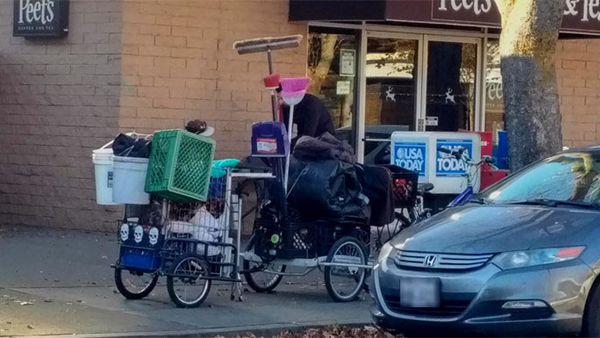 We know that aggressive panhandling, loitering and excessive littering by a few of the homeless individuals who are found downtown can deter potential customers from entering stores and shops, while requiring business owners to divert their own resources to manage the consequences. This negatively impacts business’ profitability and city revenues, threatening the economic wellbeing of our community. Individuals living in places not meant for human habitation creates a public health risk, as we’ve seen with recent hepatitis A outbreaks in Los Angeles and San Diego. By providing resources and housing for the most vulnerable, Paul’s Place protects Davis’ public safety and health. The issue of homelessness is one that we must tackle together as a community. This is an issue that touches us all. Our residents, parks, greenbelts, schools, neighborhoods and business centers are facing emotional, economic and environmental impacts that stem from increased homelessness in our community. Our goal is to bring together elected officials, business executives, nonprofit leaders, the faith community, service providers and members of our community to TAKE ACTION and to work TOGETHER to build housing for the most chronically homeless, those who are most at risk individually and who often most impact our community. This vertical housing project is the first of its kind in Davis and will help reduce the number of people living on the street by providing housing and wraparound services that lead to stability. The project will maximize the use of limited property in Davis by adding two new floors of permanent supportive housing, and greatly expanding day use facility accessibility. The 1111 H Street project will expand and improve existing facilities operated by Davis Community Meals & Housing, a local nonprofit with more than two decades of experience helping people in need. DCMH has a long history of helping people in need and is uniquely qualified to manage the project’s services and programs once the new building is complete. DCMH takes active steps to ensure its operations and services do not unduly burden neighbors. Guests are expected to be respectful, behave appropriately and treat others with courtesy. In its 23-year history providing services at 1111 H Street, there have been no major issues or incidents with the neighbors.